Why Have Your Own Author Website? - Writer's Relief, Inc. The writing community is divided into two groups: writers who have Websites and writers who don’t. 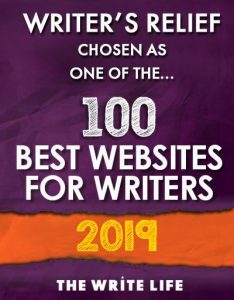 Having a Website will not necessarily make a writing career, and it alone won’t clinch book deals, snag literary agents, or ensure best-seller status—but if you’re a writer hoping to get your novel, short stories, poetry, or essays published, creating a Website to showcase your work may be a step in the right direction. Here are a few ways a Website can help your writing get noticed. Websites are beginning to function the same way that business cards work. In essence, your URL (posted on blogs, at the bottom of your e-mails, on your friends’ homepages, and on your social-networking sites) is an invitation to writers, editors, and literary agents to learn more about you. 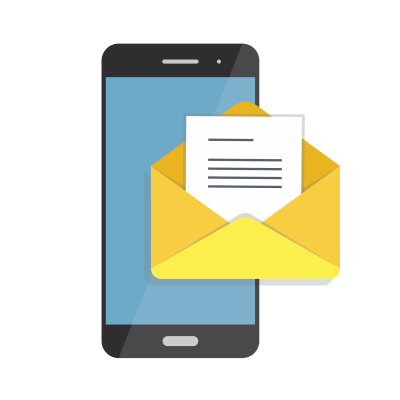 When you’re sending query letters to literary agents, publishers, or even literary magazines, showing off your Web skills indicates that you are forward-thinking, cutting-edge, and willing to do the “legwork” of promoting your own writing. If you sell books, they sell books. Your hard work will cause others to work hard for you. Having a Website, especially if it’s popular or has a core body of loyal readers, can demonstrate that your writing has the power to touch readers’ lives by inspiring an emotional reaction. Agents and editors can go on your site and read the flurry of activity as people leave their comments, sign your guest book, and show their support. That enthusiasm can be contagious. A Website can give potential readers access to projects that you have yet to sell. Although most publishers are starting to consider writing published in any digital format as being “previously published,” you can show off synopses and excerpts from your writing, and, with any luck, your snippets will get a few nibbles or even bites. Just be sure not to post too many offerings at one time; otherwise, your readers might get the feeling that the reason you have so many postings is that you are unable to “place” your work. Your Website is a great place to keep your bio fresh and up to date. In query and cover letters, you’re often given only a brief paragraph to describe your history, your aspirations, and your intentions. If you write a great mini bio in your cover letter, you could inspire your reader to go to your Website and learn more about you. Time and again, advertising gurus and business coaches stress the importance of “branding”; a good Website bio can help you do just that. An author Website is an excellent promotional tool for published work. Once your short story is published or your novel is on the shelves, use your site to keep readers interested by hosting contests, offering supplemental materials and free stuff, and developing an online “personality” that makes people want to know more. At Writer’s Relief, we specialize in targeting writers’ submissions to the editors and literary agents who are most likely to take notice of their work. For more information about creating your own writer’s Website, please read Promoting Your Writing—Creating the Ultimate Author Website for your Books, Stories, or Poems. QUESTION: What are your feelings about author websites? Do you have one? Do you wish you had one? 7 Responses to Why Have Your Own Author Website? We think it’s a great way to build interest in your book! I’ve chosen Instagram. Using images plus excerpts from my novel- why are your thoughts on how well this works? I think having a blog is a good idea. It helps you to build a fan base and to get your name “out there”. I chose a professional web hosting service. This takes care of a lot of the little details, things I wouldn’t know how to do. Other benefits include links to my publisher’s site for sales, easy to access statistics and a larger ‘presence’ online. It frees up my time and if an image ‘breaks’ there’s professional help to fix it. Candace, Understandable. If you’re planning to use your site just as a kind of online portfolio, though, it shouldn’t take too much time. And the content management systems are so easy to use these days that updates can be made quickly and easily. Good luck! The one thing that’s been holding me back is my fear of the time it will take to manage and populate a personal website when I should be spending that time writing.